To apply for AMS Membership or to encourage a friend or colleague to apply for AMS membership, go to Membership Application. *** Applications can now be submitted online using our secure payment facility. For this link, go to: Membership Application. Members can renew their annual subscription by using the AMS secure online payment facility below. Please note: Membership including benefits is from the month of payment. The Find an AMS doctor list is one of the most popular areas of the AMS website and enhanced listing information is now available. 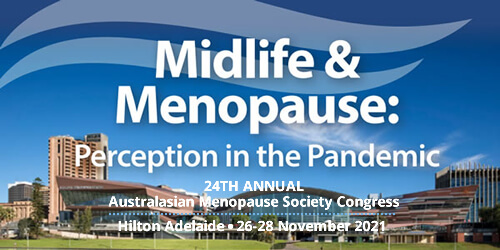 The Australasian Menopause Society provides a access to a range educational materials to assist in the management of women's health around midlife and menopause. Each edition contains Society news, State updates, notice of upcoming meetings and a clinical forum featuring a prominent authority on topics involved in the menopause. The AMS will correspond with you via email on important matters relating to menopausal health from time to time. Scientific articles and information relevant to the management of the menopause. Information and tools to assist in understanding and assessing risks factors for breast cancer and cardivascular disease.